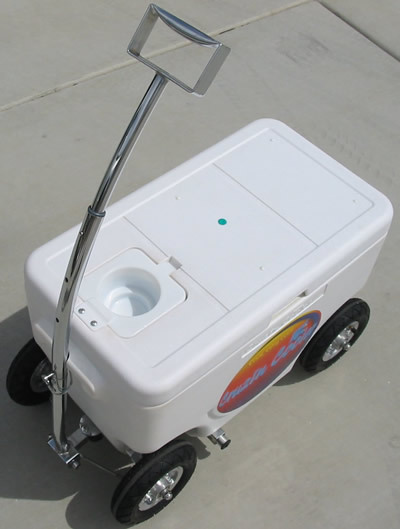 The coolagon can be hitched up to a cooler scooter (sold separately), as pictured above or you can attach the telescopic adjustable handle to pull it around manually, as pictured below. You can attach a seat to the coolagon if desired. 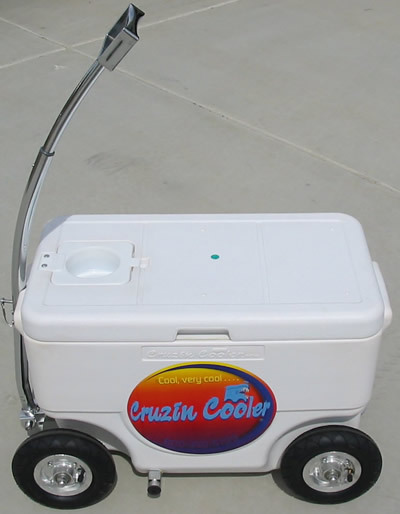 Notice that the coolagon has foot pegs as well. 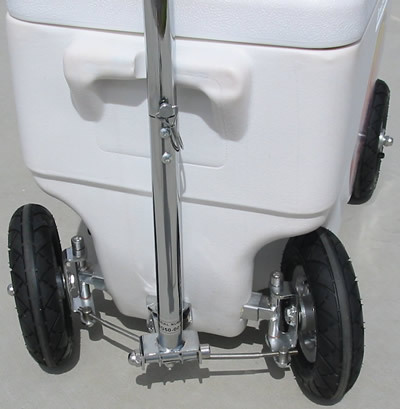 The coolagon has a strong front steering system for easier mobility. 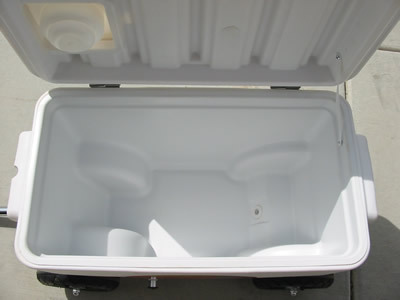 You can fill the coolagon with a lot of drinks and snacks and drive it or pull it to your event site instead of wrenching your back trying to carry a conventional ice chest. 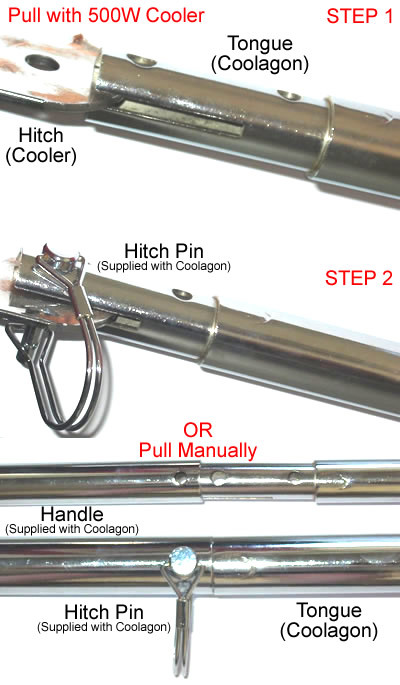 Below, is a close up diagram of how the coolagon connects to a powered cooler or the manual handle.